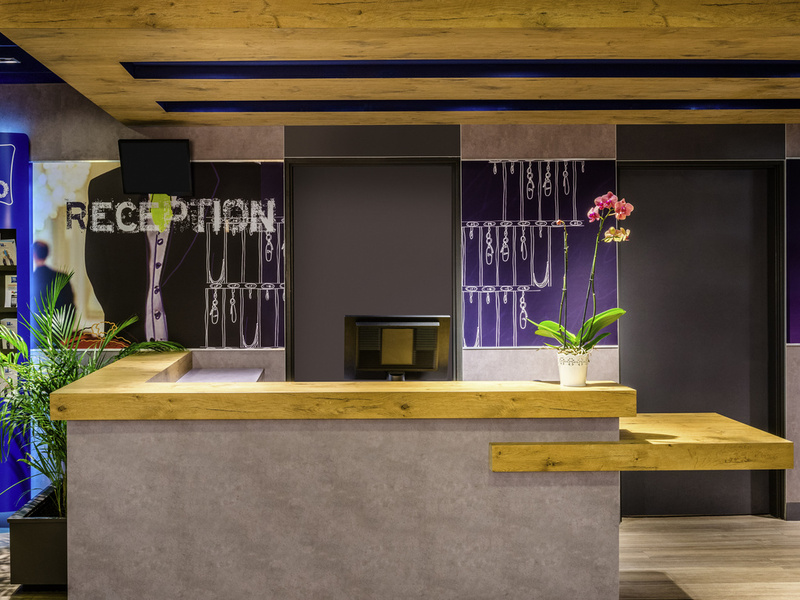 The entire team at the ibis budget Saint Maurice hotel is ready to welcome you and hopes to see you very soon! The ibis budget Saint Maurice hotel is located close to the Parc Floral in Paris and the Bois de Vincennes. It is 5 mi from the AccorHotels Arena and 21.8 mi from Disneyland Paris. It is just minutes from the Joinville-le-Pont train station and RER A line, which will take you to the heart of Paris passing through Nation, Gare de Lyon, Châtelet Les Halles and La Défense. The rooms are designed to accommodate up to 3 people, with A/C and WIFI in all of the rooms. Unlimited buffet breakfast at a great price! This was my second stay (for business) at this hotel.It is a budget hotel and therefore I judge it as such. It has all I need for a short stay: a friendly welcome, clean room, clean bed linen, good shower pressure, good wifi, close to a RER station (10 mins walk then to centre of Paris in 30 mins) and a variety of places to eat close by.Only negative item from a business perspective is that there is only a stool in the room, no chair with a back if you want to work for any time at the small desk. However in all respects it is very good value for money.I will be returning.. Helpful staff, comfortable room. As is often the case with all budget hotels, in-room facilities are minimised, i.e. no refrigerator to keep fresh milk and wine at the right temperature, but strips of ice cubes were readily available on demand. The water in the shower sometimes suddenly would increase in temperature. Ok... been there a few times and am welcomed by the staff. It is basic but clean. We stayed here in our last rip to Paris. The location is ok, nice park to walk on the back across the river. The rest it was as expected from an Ibis Budget. Great idea the small breakfast of a croissant and coffee for those that does not want to use the full buffet. More dinner choices could be great as some of the restaurants around are closed for dinner time. The hotel match my expectations. It was clean and with the basics as expected. The receptionist were nice, however some of them did not speak much english. The quick breakfast (croissant and coffee) is a great idea for those who does not need a full buffet. The location was ok, nice area to walk by the river on the back, a bit far from the train station (12 minutes walk) but with some restaurants around. The only thing that needs to improve is the heating, it was less than 10 degrees outside and the heating was off! I know more guests complaint about it as it was freezing on the rooms! There was a strange sewerage smell in the toilet area and also the shower cubicle needed to be cleaner. The noise from the street fepm 8pm onwards was a bit frustrating and also the amount of men that linger outside hotel made us feel uncomfortable. The price is good but it does fall short on a couple of things. No dining room I can perhaps forgive but it would be nice to have a bar in which to sit on an evening rather than confined to a room with hard toilet paper and hard towels... especially on a Sunday. I was there for work (limited for choice in the area) and needed to stay over the weekend but, as with most none city centre locations virtually everything was closed, even the supermarket. I went to Paris for a week and I found this hotel, and I give a shot, it was clean , close to restaurants, supermarket Carrefur , bus stop and close to the metro station , everything was great, I will recommend this hotel. Excellent. Very friendly andvprofessional staff. everything was as expected or better, comfortable beds, clean, well kept rooms, very helpful staff. You get what you pay for, so we had a fine stay at the hotel. Only thing that we would have been even more happy about would be fresh baguettes and croissants. Again: you have got a nice and serviceminded personnel. Hotel is basic with no frills but clean. Beds and/or pillows are not home but there again price dictates ?! Great little neighborhood, correct, smiling employees.